Each session will be about an hour long. On your first visit, you’ll fill out some general paperwork, maybe grab some coffee or bottled water, then I’ll invite you into my office and we’ll get to know each other by talking about what brings you in. You’ll find that I’m a professional yet laid-back counselor who takes the time to chat and get to know what you’re looking for. You are free to ask me any questions about me, my training, and my experience. If you’ve been through counseling before, I’ll probably ask you how you liked it and what you might want differently this time. 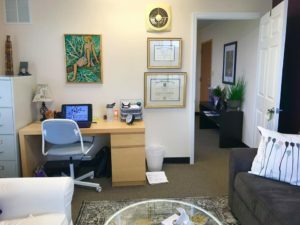 If you haven’t had counseling in the past, I’ll give you a brief overview of what to expect, including my explanation of the confidentiality of counseling. I usually recommend meeting weekly for the first month to get the ball rolling, then we can space the sessions out as things progress. You’ll get 100% of my attention and it will be my job to make you feel heard and understood. Generally, I like to reframe your explanation of what’s going on, or use analogies to help explain your situation(s) in other ways, to give you a different perspective. We will then crystalize the changes that you’d like to see happen in your life and develop and game plan for making them happen. I may assign you homework — like a writing or art assignment, a daily activity, or something to carefully think about in between sessions. I might even see how you feel about bringing various family members or supports in. 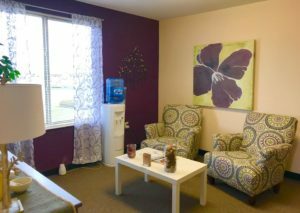 The beauty of counseling is that it’s customized to what works for YOU. Please click here to view the forms required at your first appointment. 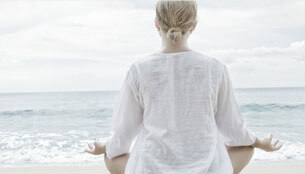 I came to New Leaf Counseling to prepare for becoming an “empty nester” and I had many reservations. 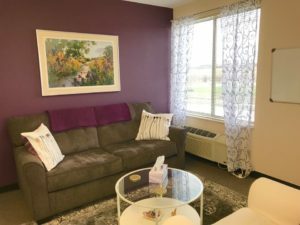 I was skeptical, thinking that a therapist would probably just nod and ask, ‘How does that make you feel?’ But after my first meeting with Tanya, I was immediately and pleasantly surprised! She provides a non-judgemental approach toward working on ME. She offers helpful suggestions that guide me toward my goal of gaining confidence and independence. Some of our conversations have included tears. But more often, our sessions are filled with laughter after thought provoking conversation. Above all, I ALWAYS feel that she is “tuned -in” to my needs. Tanya celebrates my accomplishments and helps me get through my disappointments.